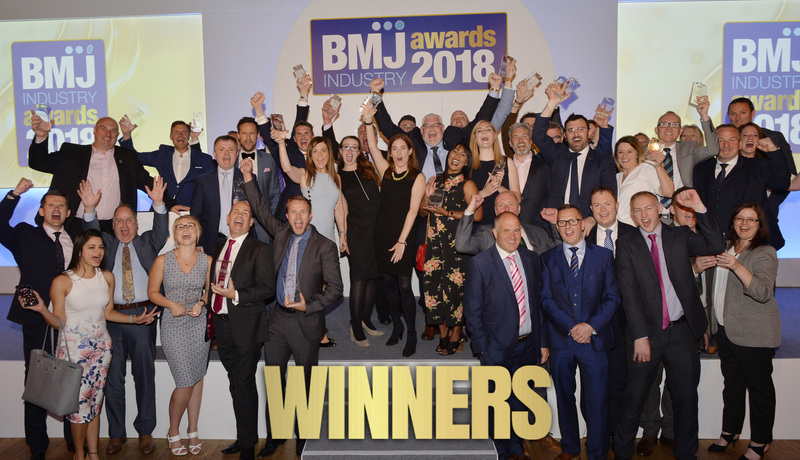 The very best from across the builders’ merchants sector gathered at The Brewery, London on Friday 18 May to find out who would be among the first to receive a coveted accolade at the inaugural BMJ Industry Awards. Hosting the afternoon’s proceedings was journalist, TV and radio presenter Claudia Winkleman, who took the reins to reveal who the industry had chosen to be their rightful winners in the groundbreaking awards scheme – which was decided entirely by a secure online vote. Up first were the merchant categories; MyPaintbrush Decorating Supplies was honoured as the Online Merchant of the Year, before London Lintels picked up the New Merchant of the Year accolade. George Bence Group was the next to receive an award, clinching the top spot in the Independent Merchant of the Year category before the winner of Multiple Merchant of the Year was revealed to be RGB Building Supplies. 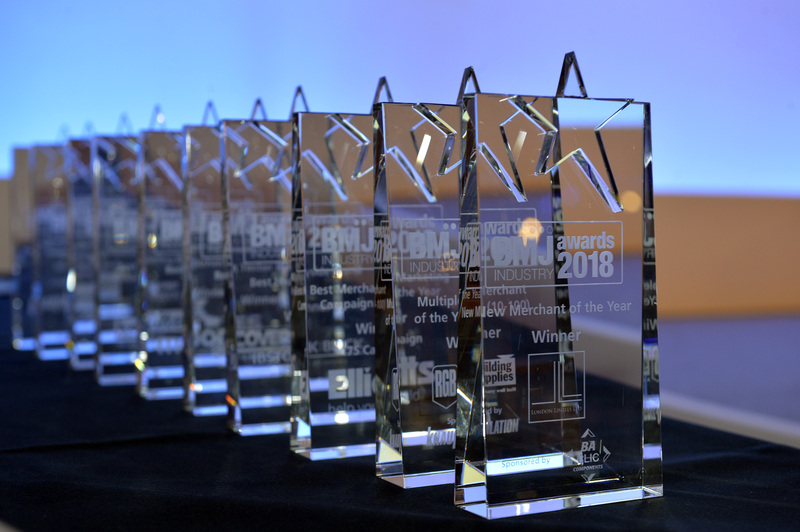 The prestigious title of National Merchant of the Year was given to Travis Perkins, while Elliotts seized the Best Merchant Marketing Campaign for the 175 Campaign and Ridgeons’ Nuffield Road, Cambridge branch was announced as the Best Merchant Showroom of the Year. The brand categories followed, with Ibstock Brick picking up the Best Heavyside Brand award and the Best Plumbing Brand accolade went to JG Speedfit. Covers Timber & Builders Merchant was honoured as the Best Timber Brand, Digby Stone received the Best Landscaping Brand accolade and the Best Kitchen Brand award went to Moores. Best Bathroom Brand was awarded to Lakes Bathrooms, Keylite Roof Windows picked up the award for Best Roofing Brand while Claygate Distribution Ltd seized the top spot in the Best Distributor Brand category and Worcester Bosch beat out the competition to be the Best Heating Brand. The awards ceremony closed with the categories designed to recognise the outstanding efforts of individuals that help to make the sector such a success. Dionne Allard of City Plumbing Supplies picked up the National Rising Star of the Year accolade and Karli Millard of Ridgeons was honoured as the Independent Rising Star of the Year. The award for Best Customer Service was presented to SCA Merchant Services’ Amy Sellers, and John Gaunt of Knauf Insulation picked up the Best Sales Representative accolade. The final award of the afternoon – the coveted Industry Personality award – was bestowed upon Andy Williamson of IKO PLC. Whilst enjoying an afternoon of celebration and networking, guests also gave generously in a charity fundraiser, carried out on behalf of CRASH – the industry charity for the homeless – and MIND, the mental health charity. The full amount raised by the generous donations of the BMJ Industry Awards guests will be revealed shortly. For more information on the BMJ Industry Awards and to view the full gallery from the afternoon’s ceremony, visit www.bmjindustryawards.co.uk.